Starting today, you’ll be able to fire up Google Assistant and either ask for cash from your buddy for that sucker bet he lost, or send off the $5 you owe for losing in similar fashion. 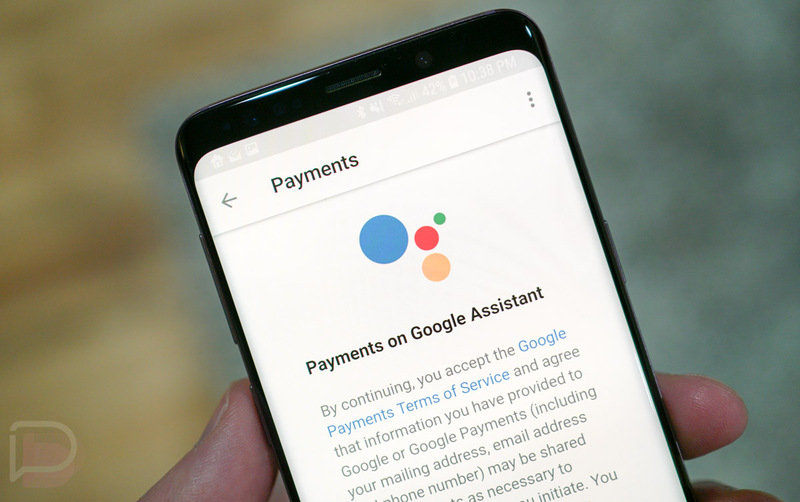 Yep, payments through Google Assistant are here and they are powered by Google Pay. To get started, all you’ll do is say to one of your contacts, “Hey Google, request $5 from Joel for last night’s beers,” or “Hey Google, send $15 to Tim for the burger.” The first time you do it, you’ll walk through a quick setup process that ropes in Google Pay and cards or payment accounts you have setup there. Once you are done, the command will still request either a Google account password or your fingerprint before any money moves around. What happens if the recipient doesn’t have Google Pay setup? They’ll get a text, email, or notification (if Google Pay is installed) that will help them cash out the funds you sent. This new Google Pay feature is only available on both Android and iOS, but it’ll come to Google Home units in the “coming months.” Be sure you have the latest Google app update, as well as Google Pay.